You may be familiar with the Peter Principle that states,”In a hierarchy every employee tends to rise to his level of incompetence.” First espoused by Dr. Laurence Peter, this principle essentially means that, within an organizational structure, employees tend to be promoted as long as they perform competently. Sooner or later, they are promoted to their highest “level of incompetence” where they are no longer capable of performing well. And here they tend to remain stuck. You can read more important leadership principles from Chief Barnes at his blogsite: www.eyeofeagle.wordpress.com. For those of you interested in seeing more of the Sea of Galilee, plus our wonderful meal of St. Peter’s fish, here are a couple of additional videos. 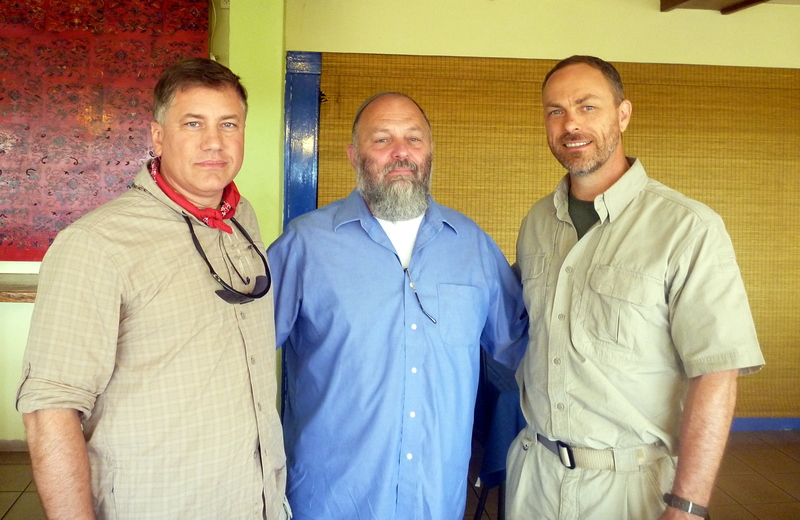 Also featured are our guide and Biblical historian, David Dekker, and my travelling partner/cameraman, Gary Curry. While we were at this restaurant, we had the opportunity to meet a famous Israeli general. This entry was posted in Dynamic Leadership by policedynamics. Bookmark the permalink. It was great to see you on the Sea of Galilee sharing the 3 principles that are essential to true leadership. wouldn’t it be great if more people were really ready to “Go Fishing”. Effective honorable leadership is needed is so many places.